What did the falling space rock say when it landed in a pig farm? Move over bacon, here comes something Meteor! 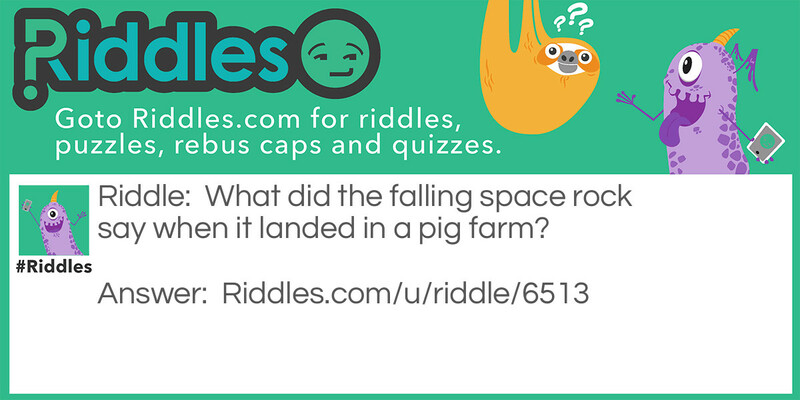 Bacon Riddle Meme with riddle and answer page link.